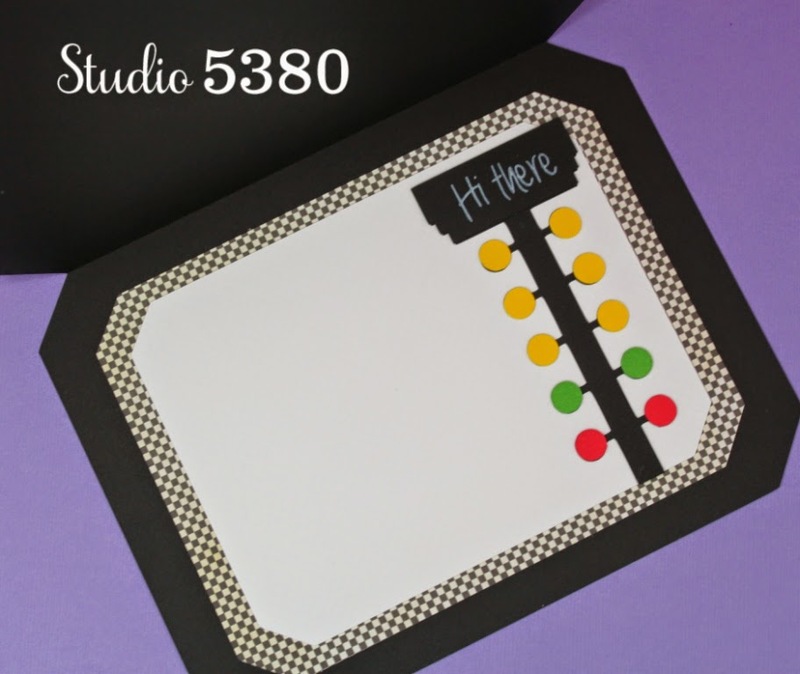 Hello everyone and welcome to Studio 5380. 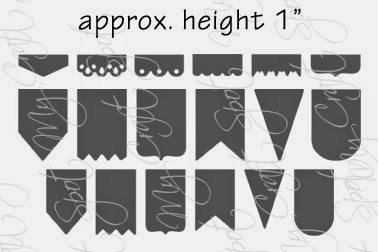 For this fun card I started with the Simple Label Card Base from SVG Cutting Files. 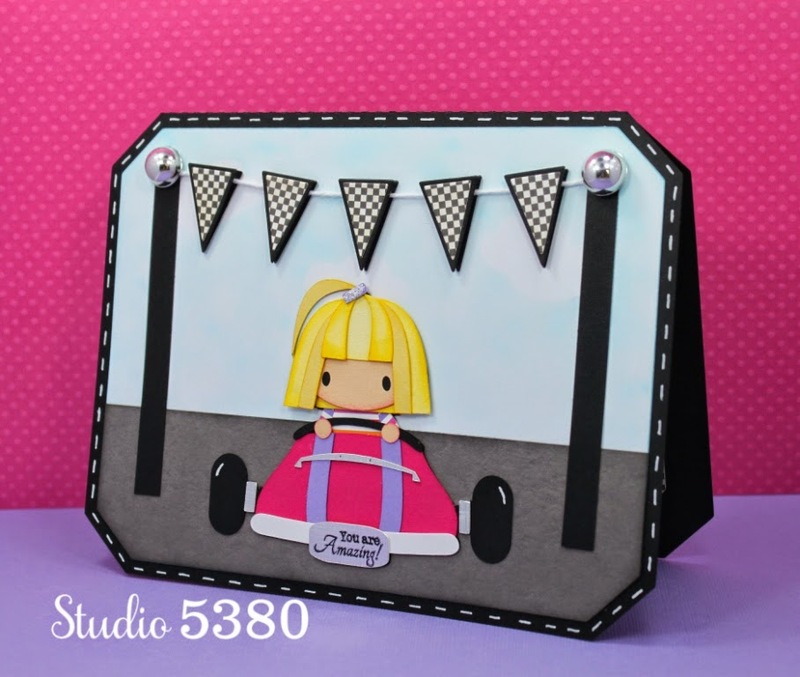 That cute little driver is from the Go Kart Racers set also available from SVG Cutting Files. The combinations are just endless - this set is a "must have" in my opinion! I added a sweet sentiment from the MCS stamp set Tiny Tags 3 to the license plate on the front of the Go Kart. I love the shine from the metallic paper! 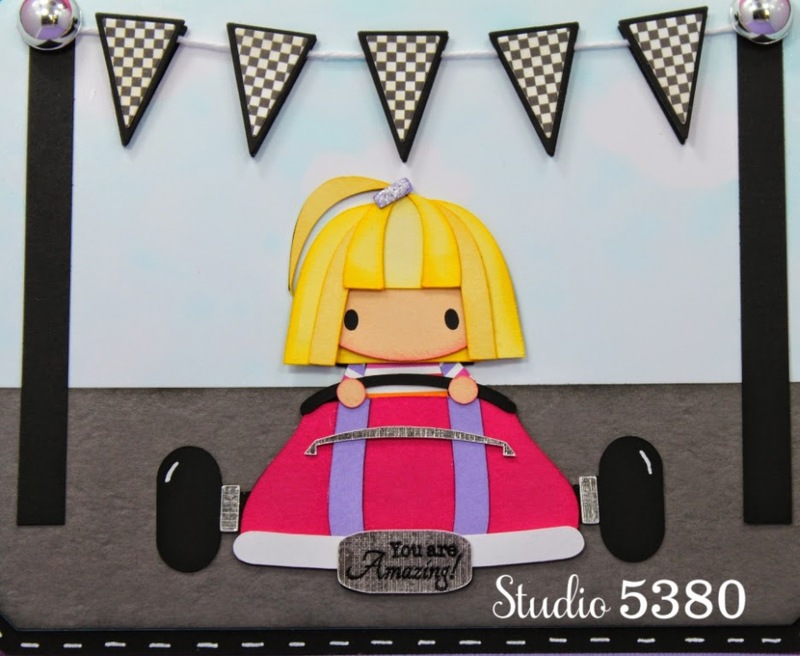 The racing lights are part of the Go Kart Racers cutting file and the sentiment is from the My Craft Spot Big Sentiments 2 stamp set. Okay, that's my project for this week's challenge! 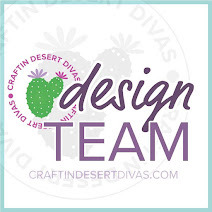 I hope you will drop by the My Craft Spot Blog to take a look at what the other Designers have in store for you. 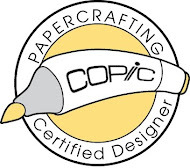 I also look forward to seeing your creations linked up with us this week! This is so flippin' ADORABLE Tanya!! What a sweet card!!!!! Ok, this is super cute, too. That little races is adorable and I love the checkered flag banner. The inside is so cute. I just love this card. I just love your sweet card! The little racer girl is so stinken cute and LOVE the fun banner! 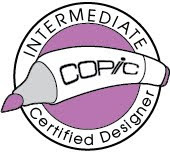 Super cute design my friend! Adorable, love her and her hair looks perfect. Great Design of your card. What a winning card. It sure wins the cute race for sure. Such a fun card Tanya!! I love the banner and love how you finished the inside of the card. It looks fabulous!! This is just DARLING!! The little girl is ADORABLE!! Tanya ~ ADORABLE!! I That little girl and her race car with all the details are simply CUUUUTE! !